Newer: » San Pedro Sailing Club is back! 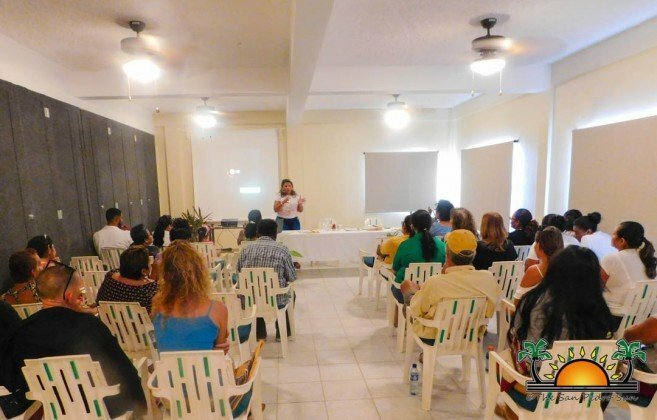 Mama Vilma’s Family Home along with the SunBreeze Hotel held a civil legal rights session at the SunBreeze Hotel conference room in San Pedro Town on Saturday, March 16th. The informative session was facilitated by Attorney Audrey B. Matura, who spoke about knowing your legal rights when dealing with relationships, common-law unions, alimony, paternity, child custody, divorces, and other issues in family matters. The session began shortly after 1PM with Mama Vilma’s Family Home President Shelley Huber welcoming everyone and thanking them for their attendance. Attorney Matura began by speaking of the rights that you have when you are separating from a marriage or a common-law union. “When you are separating from a marriage or a common-law union, you get the same benefits like maintenance, a division of properties, except the child custody. When you are married and get separated, the custody of the child is equally shared (50 %) to each parent, which means both have a saying in all decisions involving the child. While, when you are in a common-law union, and you get separated, 100% custody automatically goes to the mother and the father only has visiting rights, as in the eyes of the law, it’s considered that the child was born to a single mother. However, a father could always fight that decision if he has proof that the mother is a harm to the child,” she stated. Attorney Matura further highlighted that the main cause for divorce is cruelty, which is when someone within the relationship is being abused by their partner or adultery- when someone within the relationship is having an affair with someone else. She further advised all women in attendance that despite problems they might be having with the man, to never speak negatively about them to the child, or prevent them from seeing their child. “Under the rights of a child, all children are entitled to be able to grow with a mother and father figure, so even if he denies maintenance payments to a child, give your child the right to see his/her father,” she said. Attorney Matura continued discussing the most popular family issues she has encountered as an attorney. 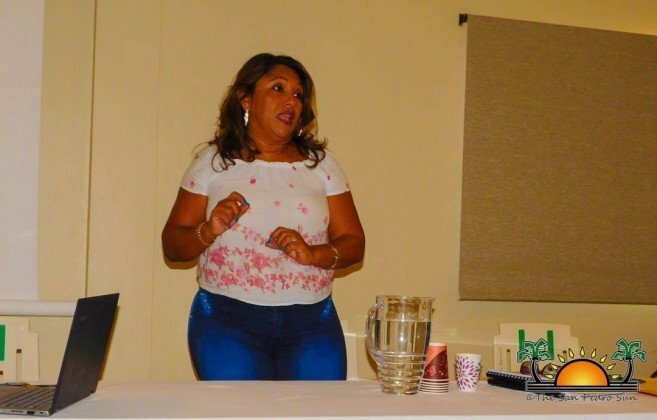 Throughout the presentation, many attendees also shared various problems they are facing, and Attorney Matura advised them on the best way to deal with the issue. 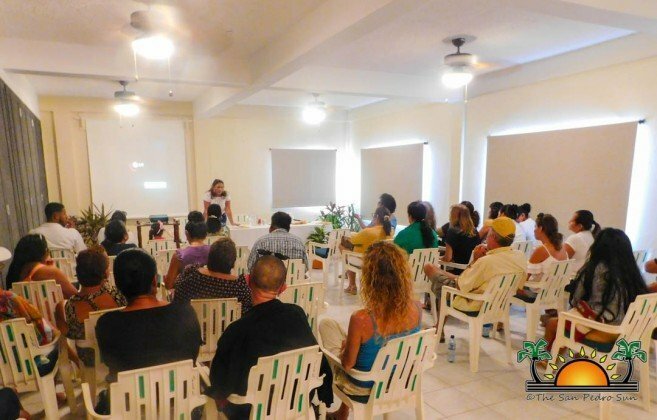 Mama Vilma’s Family Home is a non-governmental organization on Ambergris Caye that is composed of local island women who assist families in need. The organization was formed based on the legacy of Mrs. Vilma Arceo, known to many as Mama Vilma. She was a woman that emulated love and courage. Her compassion towards her community and its members allowed her to touch the lives of many that needed a helping hand. 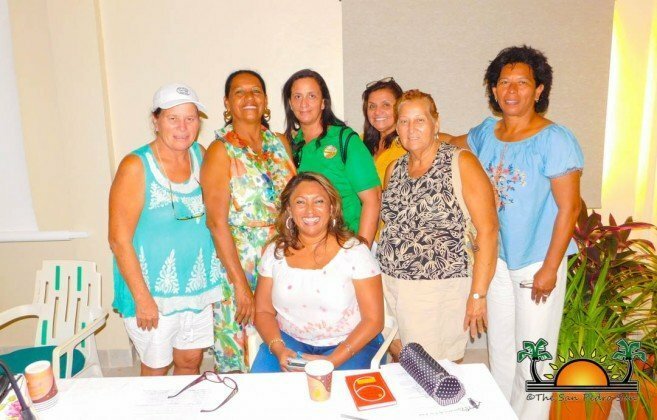 With the saying “it takes a village to raise a child,” and bearing in mind one of San Pedro’s most beloved women, Mrs. Vilma Arceo, volunteers work hard to assists those they can on Ambergris Caye. President Huber told The San Pedro Sun that they want to continue to host these types of seminars to educate both women and men of their civil legal rights in all aspects. “It is not just for women and children; some single fathers need help too,” she said. Mama Vilma’s Family Home is already planning another civil legal rights session in San Pedro Town. No date has been confirmed. Special thanks go out to everyone that attended and got educated.